Grace and works, or more commonly, grace vs. works. Is there a clash between these two biblical notions? The perfectly honest Bible student will acknowledge that both are found in Scripture. But people are all over the map on this one. Some argue that a person can perform works sufficient to gain their salvation. Others believe that grace alone saves. The Bible says neither. Let’s examine the topic. But be warned, this may change your view of grace. If you think grace covers willful sin and somehow saves men against their own desires, or if you think obedience is unnecessary you may be challenged? If you are ready, read on. Grace is defined as receiving a gift we do not deserve. Some have said it is unmerited favor. Whatever you call it is a precious gift of God which we must have. The very first occurrence of the word comes from Genesis 6:8 (ESV) when the Bible says, “But Noah found grace in the eyes of the Lord.” This statement contrasts with three previous verses which speaks of the gross evil found among men, God’s sorrow over the corruption of his creation, and the divine decision to destroy everything. But God extended grace or favor to Noah. Instead of destroying Noah along with everyone else he gave Noah a solution or a way out of condemnation (Genesis 6:14-22). 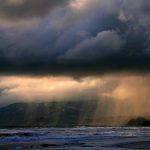 There was nothing about Noah that earned favor with God. He wasn’t some outstanding exception among all the wicked people. God simply chose to extend a blessing to Noah so that he could be saved from the coming destruction. The Bible records that upon receiving his instructions, “Noah did this; he did all that God commanded him (Genesis 6:22). But this is very important: God extended his grace to Noah before Noah had done anything worthy or godly. Noah’s obedience came after the grace was given. But, Noah was not saved by grace only. He obeyed too. Likewise, simply building a boat was not sufficient. It required God’s grace in order to save those inside. Grace and obedience worked together. Next we find a similar situation with Abram (Abraham). In Genesis 12:1 God said, “Go from your country and your kindred and your father’s house to the land that I will show you.” This was only the first of numerous commands Abram would receive from God during his lifetime. Verse 4 concisely notes Abram’s obedience, “So Abram went, as the LORD had told him…” Abram was undeniably an obedient, godly man. But he was also the recipient of grace from God many times. After calling Abram to a new and unknown location God said, “I will make of you a great nation, and I will bless you and make your name great, so that you will be a blessing. 3 I will bless those who bless you, and him who dishonors you I will curse, and in you all the families of the earth shall be blessed” (Genesis 12:2-3). Would anyone suggest that the blessings listed in verses 2 & 3 would still have come if Abram refused to leave his country? Was his obedience necessary to receive the blessings? Once again, grace and obedience worked together. Another outpouring of grace came upon the persecutor Saul in Acts 9. How could anyone suggest that he deserved anything other than eternal punishment? By his own admission he was a blasphemer (1 Timothy 1:13) yet Jesus appeared to Paul on the Damascus road. This is another example of grace. But when he asked what to do (Acts 22:10) Jesus told him to go into the city and there he would be told (Acts 9:6). Ananias told Paul to “Rise and be baptized and wash away your sins, calling on his name” (Acts 22:16). Paul did as he was told (Acts 26:19). In the New Testament, as in the Old, grace and obedience worked together. 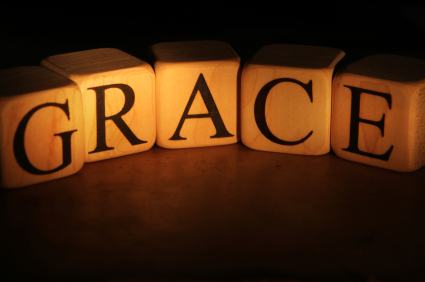 God’s grace comes in many forms and in some respect appears unto all men (Titus 2:11 ff). But grace that is effective in bringing the sinner to salvation is always coupled with obedience. The idea of man being dragged through the pearly gates against his own desire is strange to say the least not to mention against Biblical teaching. God’s grace is seen in his sacrifice of his only begotten son. There is a marvelous scene in Revelation where John sees Jesus, described as the Lion of tribe of Judah, the Root of David and the Lamb (Revelation 5:1-10). Then in John 1:29-36 Jesus is twice described as the Lamb of God. This portrays Jesus as the sacrifice for sins. Indeed the giving of Jesus was an immense act of grace on the part of God. God’s grace is seen in his interaction with man. There was no compelling reason for God to ever engage with man. Only his immense love and grace caused him to reach out to man. It was while men were enmeshed in sin and rebellion that God reached out to him (John 3:16; Romans 5:8). God’s grace is seen in his offer of salvation to all men. God desires the salvation of all people (1 Timothy 2:4) and commands all to repent (Acts 17:30). It is because of this desire that salvation is offered to all (John 3:15; Romans 10:13; 1 John 4:15; 1 John 5:1; Revelation 22:17). Again, this is a marvelous showing of grace. God’s grace is seen in his patience toward us. Can you imagine our predicament of every sin were immediately punished? In his divine mercy God has given us space to repent (Revelation 2:21). His patience leads us to repentance (Romans 2:4; Romans 3:25) and withholds his righteous wrath (2 Peter 3:8-13). God’s grace is seen in the Bible. We don’t usually think of the Bible as an example of grace but it is. God’s choice to reveal himself to us was a gift to us which we did not deserve. His use of the Holy Spirit (2 Peter 1:21) to inspire Scripture (2 Timothy 3:16) allows men to know their Creator in far greater detail than what we could learn from nature (Romans 1:20). God truly is gracious and has demonstrated his grace in many ways. Some are troubled by the idea that works may enter into the equation. Some have given the impression that a person earn their way into heaven. Nothing is further from the truth. Let me be clear: No amount of work will ever earn salvation nor will God ever be put in our debt because of the works that we do. But it is incorrect to say that obedience or works are immaterial or irrelevant. The examples above of grace are all coupled with a response to grace. They all include some kind of works. We should understand first that obedience is necessary (2 Thessalonians 1:8; 1 Peter 4:17). Works of obedience are necessary. But even when done properly we are still dependent on God’s grace for our salvation. Jesus makes a very important point that I think is pertinent to our discussion. In Luke 17:10 he posits the idea of a servant who has done all that he should do; a servant who has obeyed the commands of his master. Of that man Jesus says he is an “unprofitable servant.” Does this negate the need for works of obedience? No! But it shows that works of obedience apart from the grace of God is useless. As with grace, there are many examples of work in the Bible. Here are a few. Noah was obedient to God (Genesis 6:22; Hebrews 11:7). Abram was obedient to God (Genesis 12:4; Hebrews 11:8). Jesus was obedient to God (John 17:4; Matthew 26:39-42). Every faithful person in Scripture was also obedient. They never put God in debt to them. But they willingly accepted the free gift of his grace through their simple obedience. The grace was extended long before they were ever born. It was given at a time when men were in rebellion against God. Therefore it could not have been earned. Man’s obedience to that grace then brings eternal salvation. Often when we talk about grace and works we seem to be talking right past one another. I suspect many are saying much the same thing but in different words. Grace and works are linked and salvation does not come apart from either. I know this is a challenging article to some. Your comments are desired. Please share with us your thinking.